The Bombardier CRJ200 Freighter is available through a conversion package offered by Cascade Aerospace. 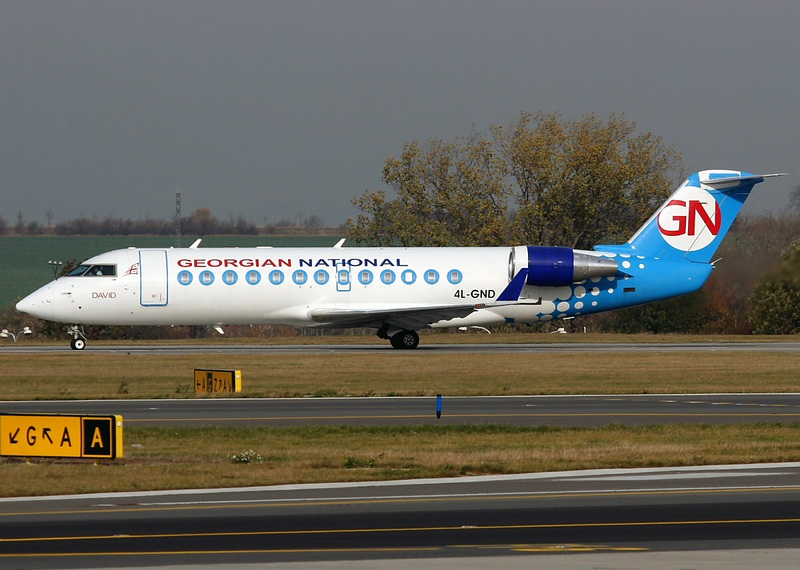 The Bombardier CRJ200 freighter is known as the Bombardier CRJ200PF (package freighter). The CRJ200 Freighter conversion kit from Cascade Aerospace includes modification instructions, part and publications to convert a CRJ200 to a CRJ200PF (CRJ200 Freighter). The CRJ200 Freighter is a class E package freighter aircraft. According to Cascade Aerospace's website they can also complete the conversion for you, if needed. Converting a CRJ200 into a CRJ200 Freighter seems to be an extensive procedure. The estimated time time to convert a CRJ200 into a Bombardier CRJ200 freighter is 2,500 combined hours (interior, structures, etc) or 24 working days with 2 eight hour shifts per day. Cargo Volume: 1,765 cubic feet or 50 cubic meters. Above Bombardier CRJ200 Freighter page photo is a regular CRJ200. Photo by Alan Lebeda on Wikimedia Commons. Photo (only) released under a GNU Free Documentation License. The Bombardier CRJ200 freighter is also known as the Bombardier CRJ-200 freighter, Bombardier CRJ 200 freighter, Bombardier CL-65 freighter, Canadair CRJ200 freighter, CRJ200 aircraft freighter, Bombardier CL-600-2B19 freighter and the Bombardier CR2 freighter.